After dropping the opener, the PawSox prevailed in the regularly-scheduled contest. Brentz blasted another solo shot, his third home run of the season, and Ryan Court also went deep for Pawtucket. Henry Owens turned in a strong outing, giving up a run on five hits in six innings. Most importantly for Owens, he issued only two walks. Brandon Workman earned his first professional save with a perfect seventh, his fourth consecutive scoreless outing to begin the 2017 season. Thursday's daily rainout went to Salem, who will make up the contest with a doubleheader on June 4. The Drive prevailed in a sloppy game that saw a combined 13 runs on only 10 hits. Darwinzon Hernandez allowed four unearned runs in three innings, allowing only two hits but walking three, hitting two batters, and committing an error. Daniel Gonzalez continues his solid season, giving up a run on two hits in three innings. Stephen Nogosek picked up his sixth save with a scoreless ninth. At the plate, Nick Lovullo launched his first career home run, a three-run fourth inning blast that brought the Drive within one. Lorenzo Cedrola also had a pair of hits, and Roldani Baldwin collected his seventh double of the young year. 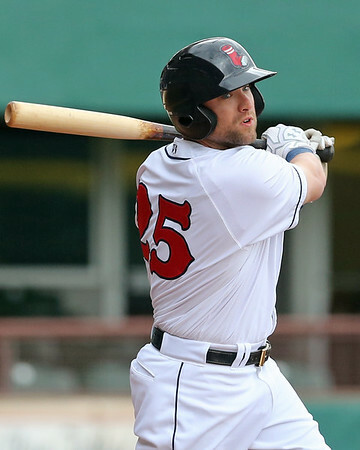 Player of the Day: Bryce Brentz extended his hitting streak to eight games with a homer in both of the PawSox games. Despite the modest hitting streak, Brentz had not shown much power this season, but he raised his slugging percentage 100 points while doubling his 2017 extra-base hit total.